The Prisoner of Zenda, by Anthony Hope, can rightly be called the first in a genre, since it pioneered the subset of historical fiction known as Ruritanian novels. That being said, the novel itself is passable, but it is still to be recommended for taking on a new field and opening it up to writers everywhere. Read on for the full review of The Prisoner of Zenda. The story is delightfully simple: Rudolf Rassendyll, an Englishman on vacation, is a distant cousin of the new Rudolf V of Ruritania. When the King is abducted by his envious brother, the Duke of Streslau, Rassendyll is set up to impersonate the king, with the support of Rudolf V’s closest companions. Together with Colonel Sapt, Rassendyll must work to rescue the King from his brother’s clutches, all the while trying to pretend to be the king himself. The plot is complicated by a scheming henchman, Rupert of Hentzau, and Rassendyll’s love for the Princess Flavia, the woman betrothed to marry the King. The plot is delightful in its intricacy. Events were easy to follow and I left the book wanting to read more. Rassendyll especially is well-developed and he makes an excellent protagonist. My one nit-pick with the book is that people’s lineage and place names are thrown around quite liberally, particularly at the beginning. I still don’t understand just how Rassendyll was related to the true king nor how he came by his identical likeness. Still, the book is enjoyable despite this flaw. 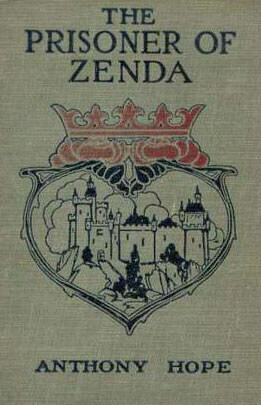 I recommend The Prisoner of Zenda to any fan of historical fiction or alternate history, as this novel sort of balances between the two to create its own unique genre. Still, I wouldn’t say its a total classic aside from its groundbreaking genre, so if you’re not really a fan of historical fiction, you’re probably better off seeking some other read. But as for me, I’m going to head straight on into the sequel, Rupert of Hentzau. I understand what you mean about the one part you didn’t like… Reading this review reminded me of reading through that part, again and again and again, until I was finally mildly satisfied with my understanding of the relations. 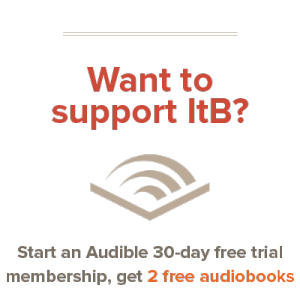 @Jen: It must just be something about older books – I seem to have run into it a lot lately. Oh well.